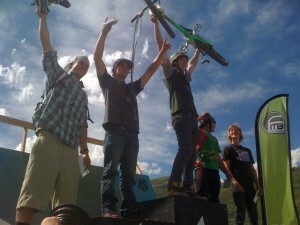 The Teva Mountain Games slopestyle competition is a silver rated event on the Freeride Mountain Bike Association World Tour. Kyle has been the slopestyle course designer for the past 5 years. In this video Kyle describes the course as riders trick each jump.